Pokemon Go: Mystery Box Changes and Shiny Meltan! 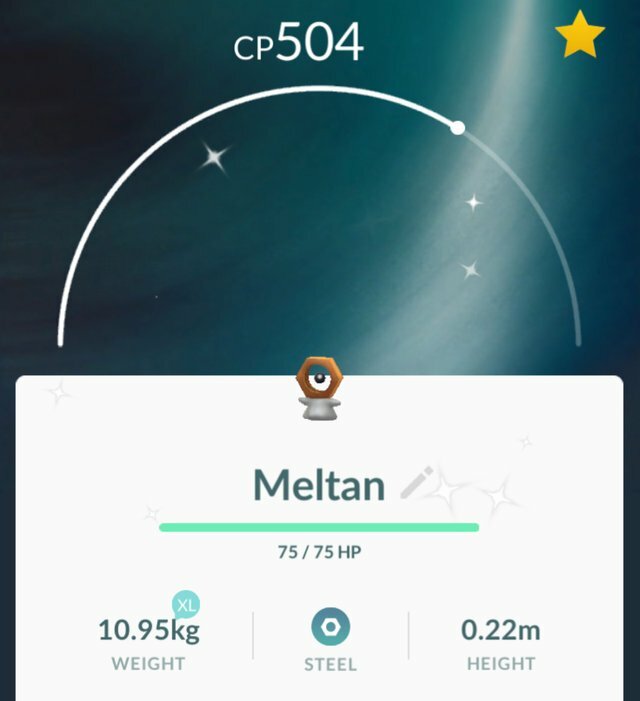 As Niantic continues to release new content, they have announced the release of Shiny Meltan! The newest of all Pokemon was released late last year as a promotional event to celebrate the launch of the Nintendo Switch Pokemon Let’s Go game. Trainers in the mobile Pokemon Go game were able to get the new Pokemon through a Special Research Class similar to the way we got Mew and Celebi. 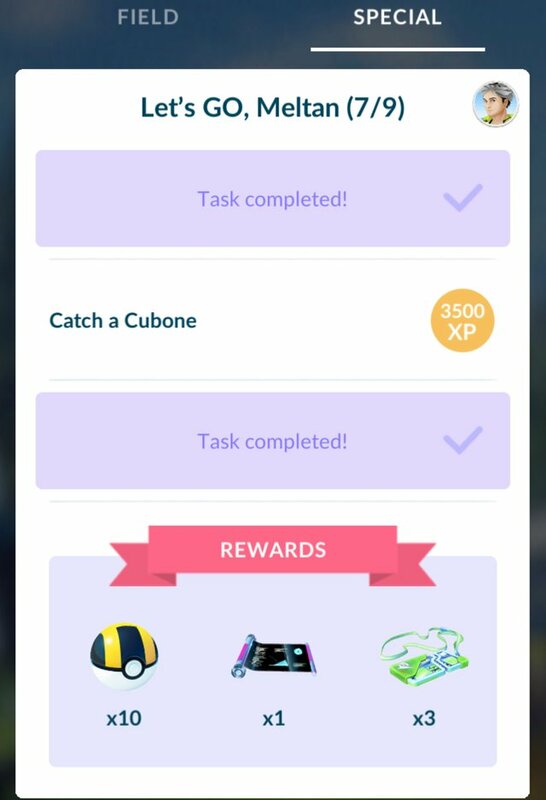 However, if trainers did not grind for those tasks during that period, it has been difficult to get it done. I myself am still stuck in step 7 of 9. The other way to get Meltan is by using the Mystery Box which is obtained by transferring Pokemon from the mobile game to the Switch game. This allows you to get spawns of the new Pokemon for 30 minutes. However, it is not very easy as it takes a couple of hours of playing the Switch game to unlock the ability to transfer Pokemon over. Unless you have a friend that has done it, it is not very easy to get a Mystery Box. Now that Niantic has announced the Shiny form of Meltan many are trying to get Mystery Boxes for a chance to capture the Pokemon. I have been able to help a couple of trainers get a box which has been great. Niantic also temporarily changed the frequency at which you can use the Mystery box. 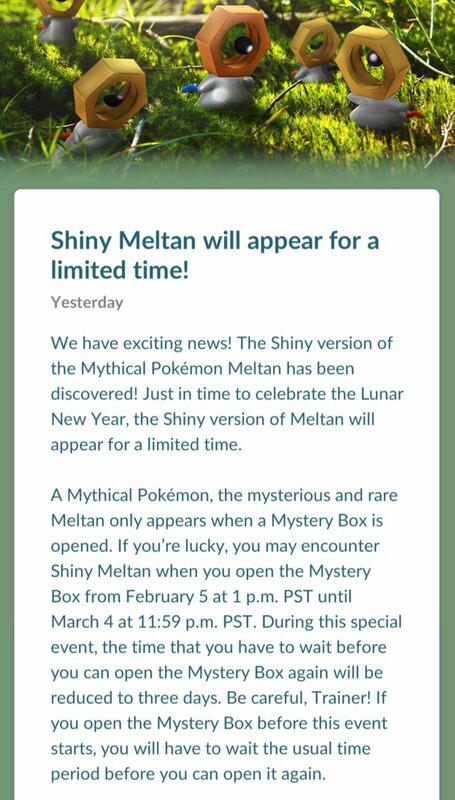 Now it can be used every three days instead of seven so timing it well can get a number of opportunities for a Shiny Meltan as the event is available until March 4th. I was lucky enough to get one using my first box!